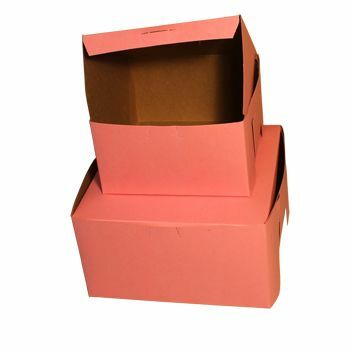 Boast your brand name and image with custom imprints on these incredibly robust in nature, yet delicate looking bakery boxes that are spacious and air tight to keep your items unhurt and fresh. 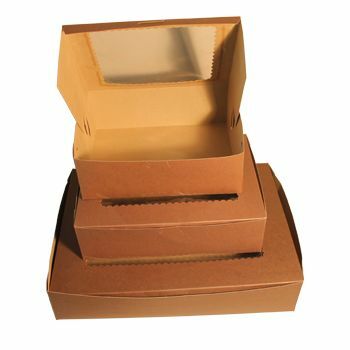 8 X 5.5 X 3"
10 X 7 X 4"
25.87 X 18.37 X 3.87"
6.25 X 3.75 X 2.12"
These Bakery Boxes are perfect for baked goods. 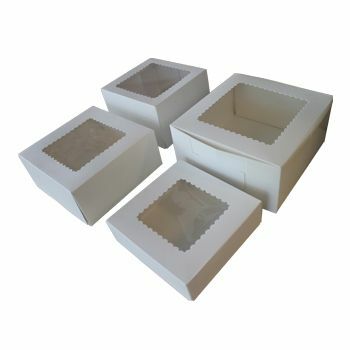 You need to make sure that the delicious baked goods you make reach customers in the perfect condition, and these lock corner boxes with cake covers allow you to do exactly that. 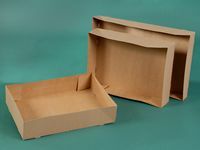 They have Kraft interiors and are white on the outside - you can also have these made with your own branding. 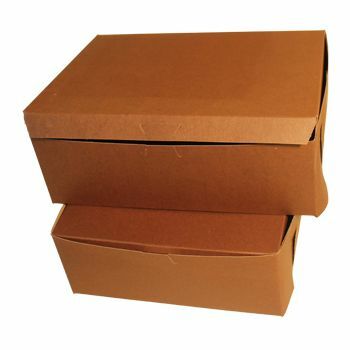 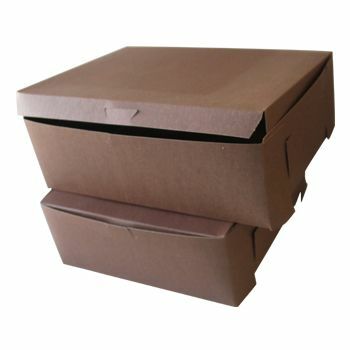 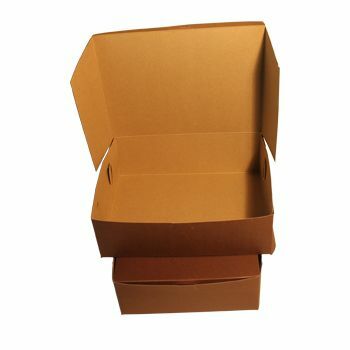 These bakery boxes are available in 50 different dimensions so there is one that is perfect for every product you have.